Website loading speed has increasingly become a very important Search Engine Optimization factor. In fact there have been several case studies that have proved fast loading sites rank better. Images play a vital role in web design and add important aesthetic value to web content. Images are also known to slow the page loading speed and therefore needs to be as light as possible. The use of sliced images combined with CSS tricks is a popular way of reducing a page load speed. This is particularly useful when you are adding a background image or images that have a solid color. In WordPress there are a number of plugins that can help you optimize the images and improve the page loading speed. I have researched and selected the best 10 plugins that have been rated as best WordPress images optimization plugins. 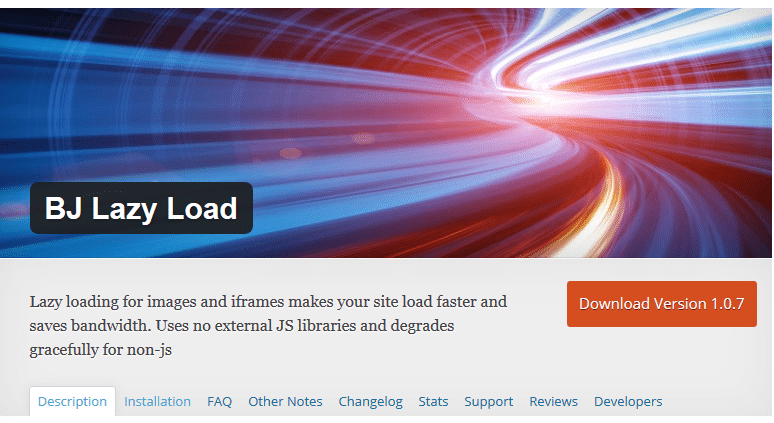 This plugin is my best and have used it for nearly all my sites. 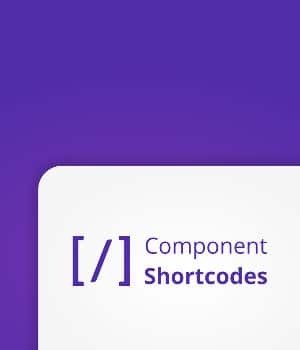 This plugin is free and very easy to use for even those with little WordPress experience. This is a free WordPress images optimization plugin that does a great job of compressing the images without altering the quality. When you install WP Smush.it plugin it automatically compresses all the existing images and the new images that are uploaded. I like this plugin because it does everything behind the scenes and is absolutely free. They also have a pro version but the free version still does a great job. The pro version only improves the quality of compressed image and compresses the images further than the free version. This plugin is one of the most highly rated WordPress images optimization plugin and does not have a third party service since it runs on your server. EWWW Image Optimizer is the best JPG optimization WordPress plugin and it is efficient since it integrates with TinyJPG. Best PNG images optimization since you can use pngout, optipng, and pngquant as well as the TinyJPG. By default this plugin utilizes the lossless optimization technique that allows you to retain the same quality of the image as you compress the image. 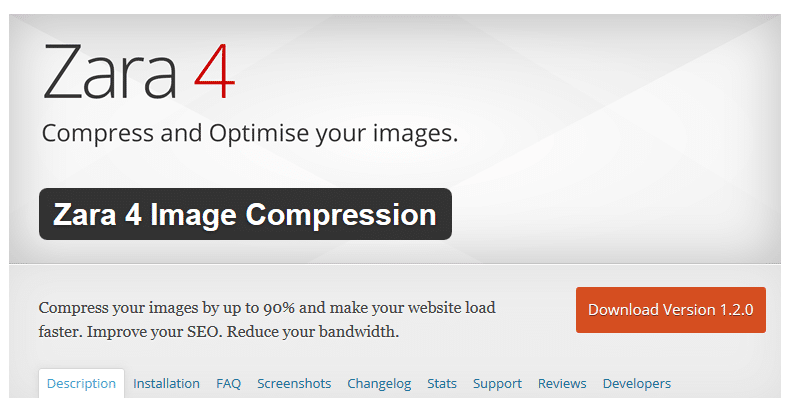 Zara 4 Image Compression is a great WordPress images optimization plugin that offers you an alternative for images compression. This plugin allows you to optimize the images by compression as soon as you upload them. This allows you to resize the images and compress and save a large amount of memory taken by large images. The plugin also allows you to select the thumbnails that you prefer and the existing images can also be compressed either individually or as a batch since it has a batch compression option in the WordPress Media Library. After compression of images you can also restore them at any time and your original images are usually preserved but are not seen in the WordPress Media Library. The images compression is done by Zara 4 Servers and your server does not have an extra load to process the images during the process.This plugin requires the access to Curl to communicate with Zara 4 api and you can use the ZARA 4 API on unlimited number of websites. This plugin as a premium upgrade option and supports JPEG and PNG of up to 16 MB. 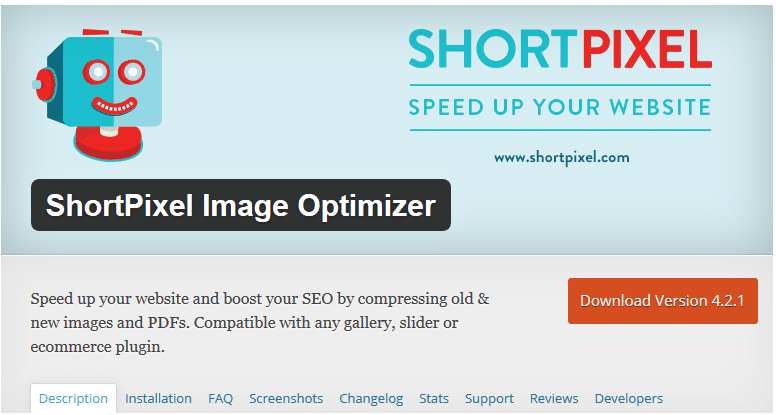 Shortpixel Image Optimiser is another popular WordPress Images Optimization plugin that has great reviews. This plugin is easy to use and lightweight and allows you to compress the existing images and PDF documents in a single click. New images are easily resized and rescaled in the background and therefore this plugin is easy to use since you don’t have to keep checking the images. Shortpixel Image Optimiser also uses minimum resources and integrates seamlessly with any shared hosting, dedicated, VPS or cloud hosting. This plugin can optimize all the images even for those images that are not in the Media Gallery like those images in the NextGEN plugin or those images added directly via FTP. The compression of the images supports all the image types like JPG, PNG, GIF and WebP this plugin is also useful for compression of PDF documents. There is no size limit with this plugin and you can even compress the animated images without losing the quality of the images upon compression. 5. 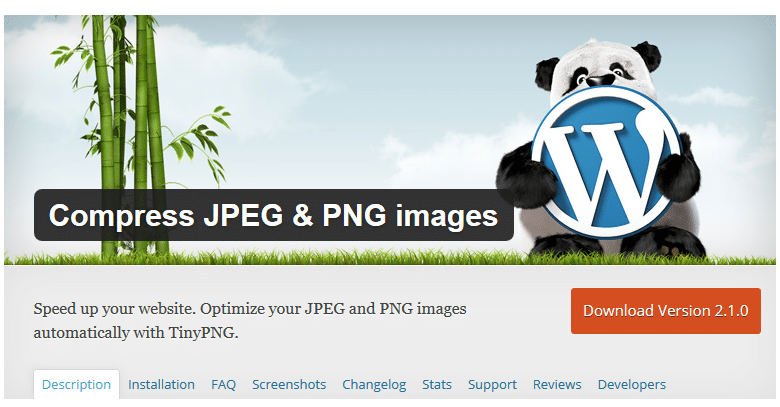 Compress JPEG & PNG images Compress JPEG and PNG images is another wonderful WordPress images optimization plugin that has also has good reviews. This plugin is particularly useful in compression of JPEG and PNG images. This plugin automatically optimizes all the images using the popular images compression services TinyJPG and TinyPNG. The images are automatically optimized upon upload. You can use this plugin to optimize individual images as well as bulk images that already exist in the Media Gallery. This plugin also offers the option to resize all the images by setting a maximum width and height for the images. When the images are compressed they preserve the copyright metadata, creation date and GPS location of the images. The plugin is compatible with Woo commerce and also WP Retina 2x and comes with multisite support using the single API Key. This plugin allows you to see your usage from the media settings during the bulk optimization process and it does not have file size limits. Imsanity is an images optimization plugin that allows you to automatically resize huge images that are uploaded to the size that is viable on browsers. With this plugin you can configure the maximum width and height as well as the quality of the images. Imsanity also provides users with the bulk resize features where you can selectively resize a number of images. You can resize the images that were previously uploaded as well as the images that you are uploading. In summary, you can use this plugin to scale the large images to more ‘sane’ sizes and you can also resize the previously uploaded images using the bulk resize feature. Additionally, you can optionally convert BMP files to JPG so that the images can be scaled down. Finally, this plugin uses the WordPress inbuilt image scaling functions. Lazy load is an easy to use WordPress image optimization plugin that allows images to be loaded only when they are visible to the user. This not only improves the page load time but also saves a great deal of server bandwidth. Lazy load plugin utilizes jQuery.sonar to load the images only when they are visible in the viewport. 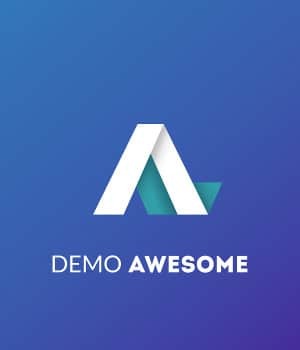 This plugin is made from combination of code written by the WordPress Company Automattic, TechCrunch 2011 Redesign team and Jake Goldman. 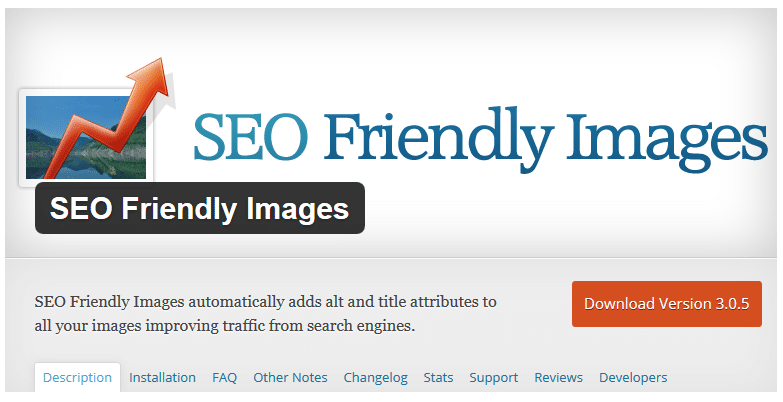 SEO friendly images as the name suggests is a WordPress plugin that helps optimize images by adding the appropriate ALT tags and the Titles for better Search Engine Optimization. Search engines crawlers are not able to read images and are reliant on ALT tags to help interpret the images. This plugin helps WordPress users to quickly add the ALT tags if they are not already set. You can add the ALT tags according to the options you set. Adding ALT tags is not only important for SEO but also very important for a valid HTML markup of your website. When you are optimizing images on your site, the primary objective is to improve the page loading speed. One such way of improving the page load speed is managing how your images are loaded. Ideally this plugin replaces your site images, thumbnails and gravatar images with placeholders and only load the content as it gets closer to the browser window as the visitor scrolls. This plugin also works perfectly in optimizing embedded videos from YouTube or Vimeo since it works with iframes. This plugin is also available in multiple translations and allows you to lazy load other images and iframes in your theme simply by using a filter. This image optimization plugin gives you an option to upload heavy images. Bulk Resize Media automatically resizes the large images and helps keep to the standard you have set for maximum images upload size for all the images you upload. 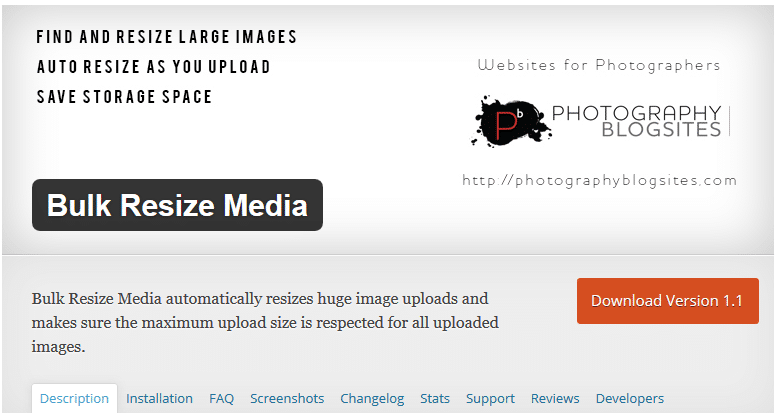 This plugin automatically resizes huge images and makes sure maximum upload size is respected for all uploaded images. The plugin also works with multi-site to allow admins to control the image uploads. You can also optionally convert the BMP to JPGs and configure the maximum width and height of the images as well as the JPG quality. Each these 10 best plugins for image optimization can be a great way to reduce the website load time and rank higher in search results. You can choose any of these plugin that suits your needs and for large sites a pro version of WordPress images optimization plugins may be helpful. Please let me know your favorite image optimization plugin share your experience on the comments section below. For a WordPress site to load faster, everyone should have use an image optimizer to comprose the images. So, keep writing. thanks for sharing this article. 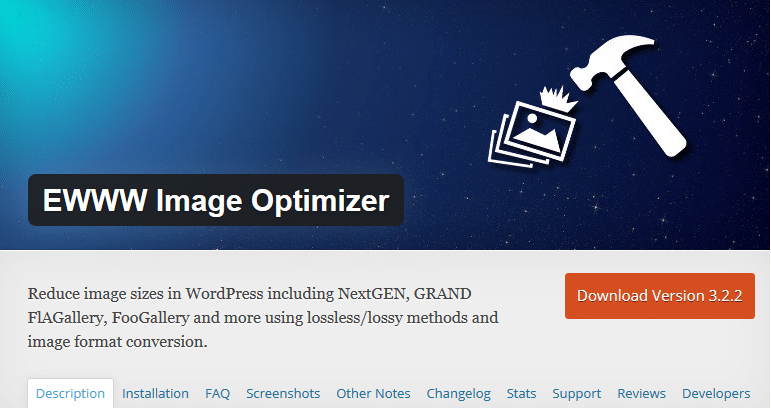 ..
Nice article on WordPress image optimizer finally, found a helpful article on this topic. keep writing. Good article! I tried some of these tools. But a few month ago was a day when i needed to optimize a lot of images. So i found http://cheetaho.com with better pricing. I liked it and now using in my WordPress website.